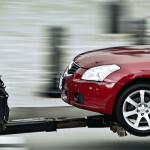 Do you know that Central Towing offers a variety of roadside assistance types for anyone in a bind? Whether you have a large RV that’s stuck on the side of the road, or you locked yourself out of a vehicle, they can send a professional out to assist. 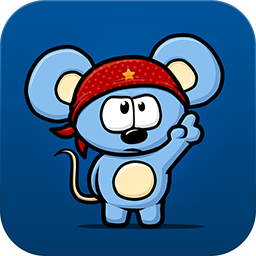 Get to know more about why you should hire them here! Have you ever locked yourself out of your vehicle and didn’t know what you can do to get back into it? Some people debate on whether or not it would be okay to break a window, especially if they need to get somewhere fast. Don’t do that; it’s far cheaper to work with Central Towing than it is to damage your vehicle so you can get back in. Even if you try things like using a hanger to get into your vehicle, you could damage it, and that damage will probably cost more than getting help. You can get help anywhere in Maricopa County if you have a medium duty type of vehicle you need help with towing. Central Towing will send out someone that is trained not only in getting your vehicle to a safe place without damage, but they also are well versed in customer service so you know that they will be easy to work with. During a time like this, it is already a pain to have to deal with the situation and the towing professionals they’ll send out will help to make the situation go as best it can. What do you do if you’re broken down but you’re in a heavy duty type of vehicle like an RV? Central Towing can help with this as well, so you’re not stuck for too long on the side of the road. When you have a problem like this, it can be difficult to diagnose what is going on when you’re on a busy roadside. Not to mention, nobody driving by is going to have the equipment to help you. You can get roadside assistance quickly so you can get your RV or another type of heavy duty vehicle to a shop to get it taken care of. Emergencies are not going to happen when you expect them to. 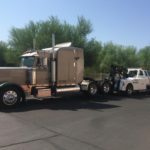 This is why there are people on call 24/7 that Central Towing can send out anywhere within Maricopa County so that you’re not stuck there for long. People tend to have problems when they least expect it, such as on a holiday or even in the middle of the night. You can rest assured that someone will be there for you quickly, and they are just a phone call away. 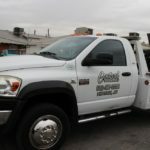 Learn more about all the Central Towing services here. Now that you can see what types of roadside assistance Central Towing can help with, you can work with them whenever you need to. Make sure you have them programmed into your phone at (602) 277-3200 so that you can get in touch with them when you’re in an emergency situation or just need help.